When humans witness things that hurt, they often struggle with believing in a God who loves mankind. “If God exists, why is there suffering in the world?” Haven’t you heard that before? Theodicy, or the work of believing God is who He says He is even in the face of our pain, has plagued Christians for centuries. Whether it’s pondering world-shaking natural disasters or questioning why a loved one (for me, my little brother) died in an accident, most people of faith have struggled to reconcile God’s supposed “all-knowing, all-loving, all-present” qualities with events that seem to prove otherwise. 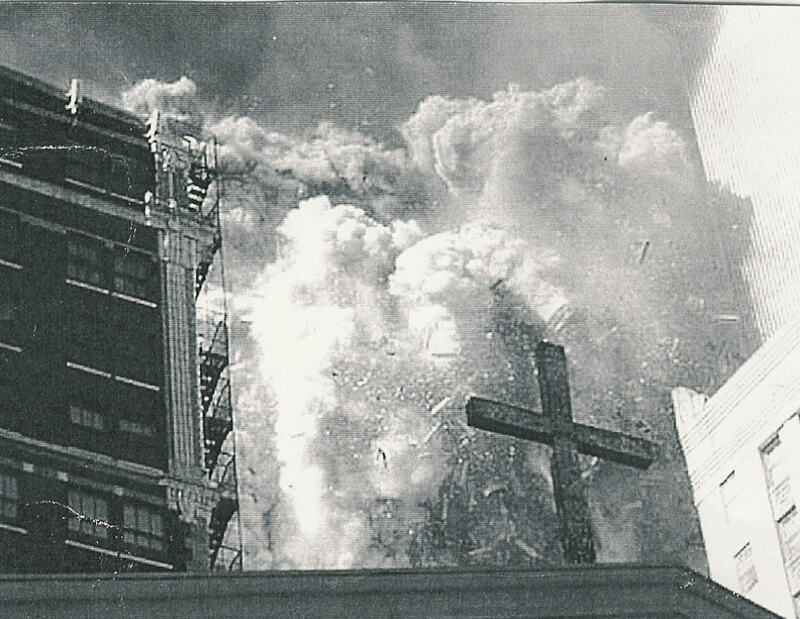 In the case of 9/11, we know the cause was extremist Muslim terrorists, but the question arises: Why didn’t God stop it? Two things have helped me cope with my quest to remain faithful even in my doubt. Dr. Green told us that Jacob is like all of humankind, struggling with God but at the same time wanting a blessing from Him. Dr. Green assured us that everyone’s journey of faith will involve a time of wrestling with God, of confusion as to who God truly is. What strikes me in this story is that God was about to lose! We fight so hard against him sometimes. The note in the OSB says that the man was “the Son of God . . . when He became incarnate, He assumed the weakness of human flesh for man’s salvation.” Part of me thinks that was good sportsmanship for God to even the playing field for the fight. But I also wonder if God allows Himself to be weak sometimes. Or chooses to limit Himself. Or He’s not as cut-and-dry as we make Him out to be. That leads me into the second thing that helps me: The Orthodox Church. Orthodoxy is re-shaping my view of time, death, and God. The Orthodox faith exists mostly in kairos time, God’s time. It is not chronological or conventional. My priest has even said that his prayers for his deceased father may somehow affect his father when he was alive. Yeah. Blows my mind, too. Sounds a little like a sci-fi movie. But it’s not. God’s time is not limited by minutes and days and forwards and backwards. So maybe I can still pray for my brother, for the victims of 9/11, and the strength of those prayers will reach them. Because of this view of time, death takes on a different meaning also. Those who are physically dead are still spiritually alive and with us, even worshiping with us during each Divine Liturgy. Even more, they deserve to be recognized, celebrated, and remembered. This is why there is such a great legacy of saints in the OC. Commemorating the saints, dwelling on their lives, and even asking for their intercessions, is a huge part of our faith. It doesn’t stop there. We also remember our own dead, saying Memorial prayers as a church on anniversaries of loved ones’ deaths (as we did today for the victims of 9/11) and even in the privacy of our homes. Our Pascha (Easter) Liturgy is the ultimate celebration of resurrection – both Christ’s and our loved ones’. Here’s what it comes down to: Bad things happen. Terrible things happen. Humans suffer. God is with us through it all. Through the wars and the tsunamis and the floods and the diseases and the attacks and the motorcycle accidents. God is with us. He works for good even in the midst of horrible circumstances. And on those days that I wrestle so hard with Him that I am bruised and battered, like Jacob I cry out, Tell me Your name! Remind me of Who You are!! In my desperation, in my near-faithlessness, I still cling to the small hope that He’s real, and He loves. I will not let You go unless You bless me. I was taught that God allows things to happen. As in Job, Satan did many things to Job that God allowed. We will never understand things here on earth but I believe once we reach Heaven we will understand why. We just need to cling to our Faith in God and know that He is with us through everything in our life.